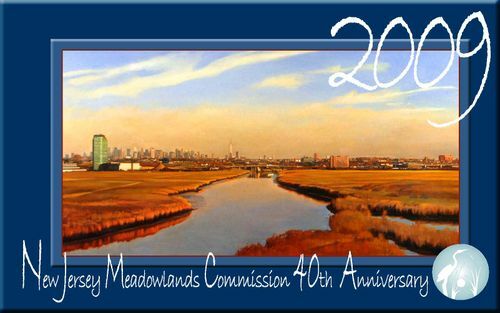 The Meadowlands Commission has some extra copies of our beautiful 40th Anniversary calendar, and we are now offering them free of charge. Each month has a wonderful photo or painting from the Meadowlands — from Tree Swallows to Great Egrets to Daylilies — along with a memorable nature quote. You can pick one up the next time you are at DeKorte Park in the Meadowlands Environment Center of the administration building, or you can send a check $3 for postage, made out to the NJMC, and your name and address to Jim Wright, NJMC, 1 DeKorte Park Plaza, Lyndhurst, NJ 07071. Limit one per person. The Meadowlands Commission is honoring Black History Month with a weekly post on this blog. 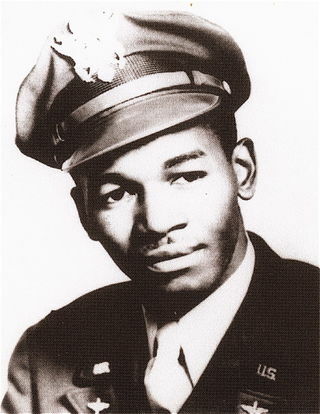 Today the focus is a Tuskegee Airman from Rutherford. In future weeks we'll look at the Underground Railroad in Jersey City, a slave cemetery in Little Ferry, and a famous black actress and civil rights activist who worked in Kearny. In a phone interview yesterday from his home in Texas, Spann said: "My growing up in Rutherford inspired me to be a Tuskegee Airman. Planes from Teterboro Airport took off right over my house. "I was able to do everything any young man in high school did, and when I got into the Air Corps and they said they didn't think I could learn to fly, I thought that was preposterous. I'd been doing everything everyone else was doing all my life, and it really stuck with me. That was my experience growing up in Rutherford."